Managing Director for the last 10 years of Flight Training Systems Ltd, a small UK based aviation and security consultancy; accredited by the UK's Department for Transport as a recognition of Firearms and Explosives instructor. An approved UK CAA UAV/UAS multirotor drone owner/pilot, operating both 4 rotor medium lift film/survey and 8 rotor heavy lift multirotor platforms up to 20kgs AUM, fitted with fully stabilised gimbals equipped with either the GoPro 3, or Black Magic 4K resolution cinematic production cameras fitted with a 14-24mm Nikon lens. Extensive thermal and false colour imagery operational experience. A dedicated commercial pilot with the very highest professional aviation standards. 6000 total flying hours, of which 1400 hrs are rotary the remainder fixed-wing. Piston, turbine, multi-engine, light and long-range jets over 43 tons. 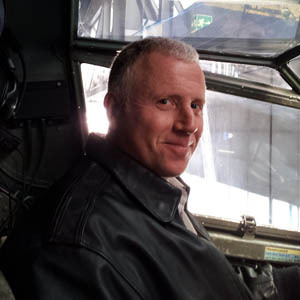 Kevin works throughout the UK and beyond as an aerial cameraman, lighting and sound engineer. He was educated at Bath and Bournemouth universities where he earned an HND in Sound Production, and an Honours Degree in Film & Television. Kevin has always had an interest in aerial cinematography and is now working with James Hazou with the idea of offering platforms to those who want a fresh look at aerial filming for their production. Kevin has experience working with the BBC Natural History Unit. 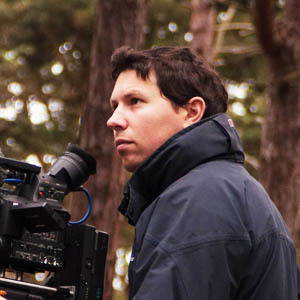 In addition, he has also worked on several feature films including Harry Potter, Basic Instinct 2 and Stormbreaker. He has also worked with helicopters fitted with Wescam and Cineflex systems for many years.